Today I'm entering the Color Throwdown Challenge. Orange, kraft and black... great colors for October! 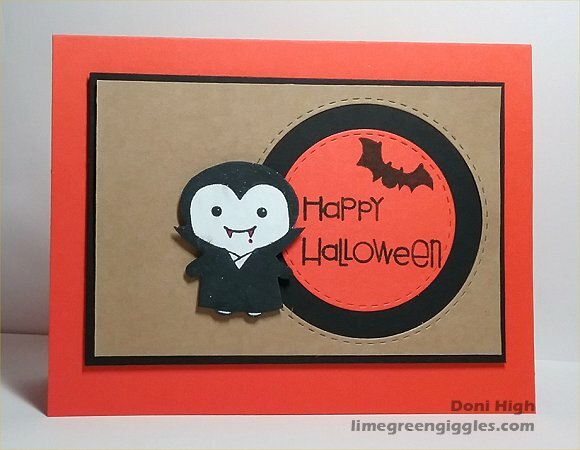 Pretty simple, but I fell in love with that cute little Dracula! He's a little Snag'em Stamp from Imaginisce. Memento Ink, copic marker R29 and 3D foam dots. Making all these Halloween cards is making me hungry for chocolate candy! lol! He is adorable!! So happy you joined us at CTD! Adorable CAS design! Thanks for playing along with us at Color Throwdown!